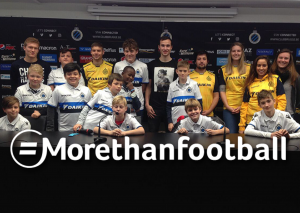 Just like last year, the Club Brugge Foundation participates in the #MoreThanFootball Action Week. From 21 March to 8 April, the Foundation and its projects will be put in the spotlight. 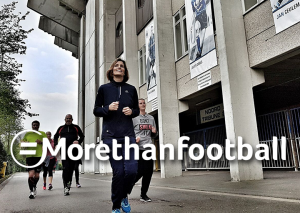 The #MoreThanFootball Action Week gives European professional clubs the opportunity to present their social activities to the general public, making clear their impact on society. 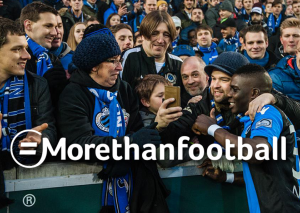 Our Club Brugge Foundation is trying to do this in many different areas. Today we look at ”Start To Run”. You certainly know our slogan already. During Start To Run these words are confirmed, because between February and April the 9th edition of this project is already taking place. Club Brugge and its Foundation want to encourage supporters and local residents to a sporting and healthy lifestyle. The participants are guided to promote their fitness and to achieve their predetermined good intentions in the new year. The Foundation helps with the realization of the objectives of all participants on the basis of running schedules drawn up in advance and under the supervision of running coaches. Through the Start To Run project, Club Brugge also wants to make it clear to people that a healthy and fit lifestyle is very important to feel good. Anyone who wants can participate in Start To Run. This project works for advanced runners, but also the absolute beginners. This is also the perfect preparation to take part in Dwars door Brugge, which follows shortly afterwards.